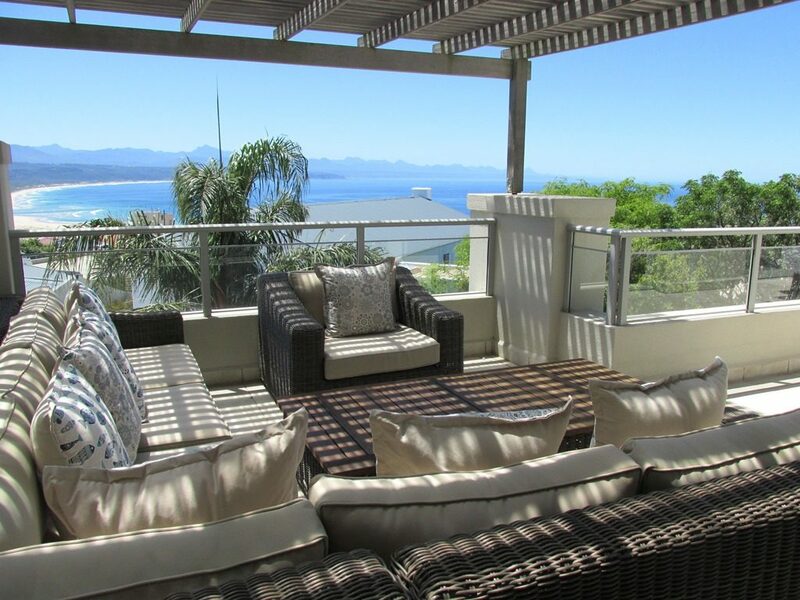 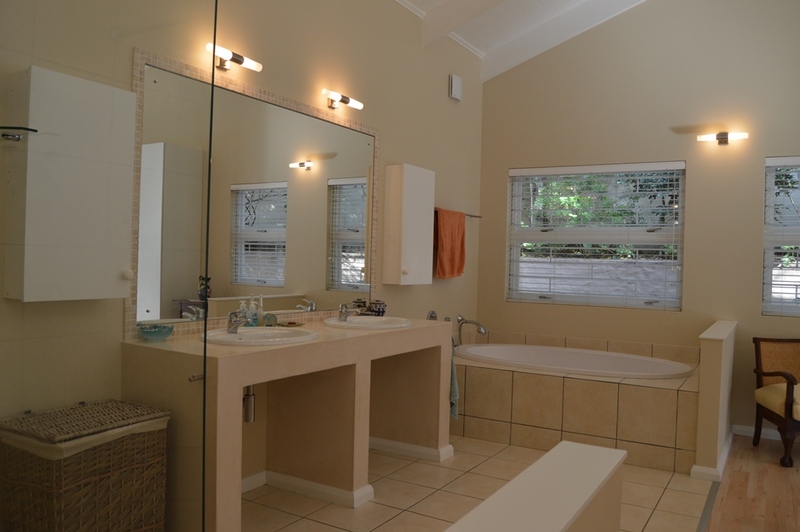 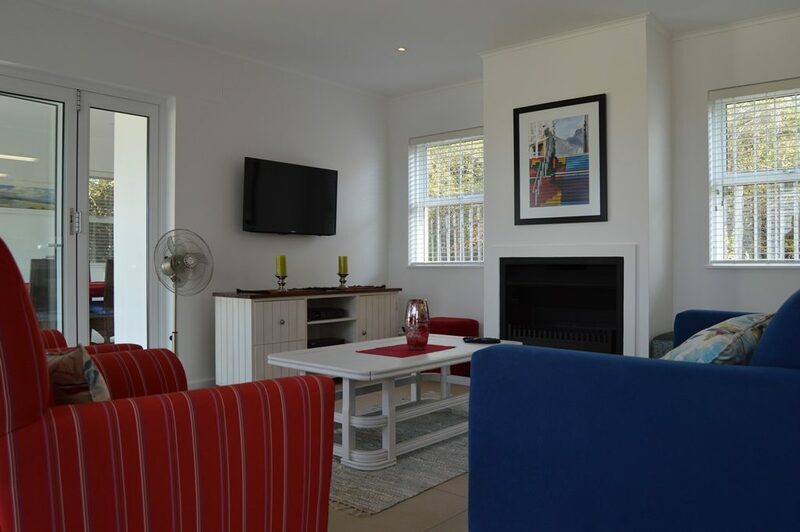 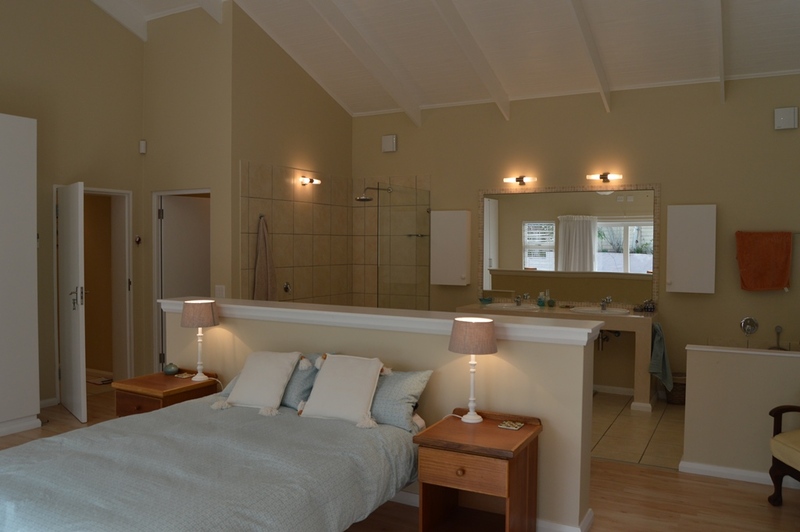 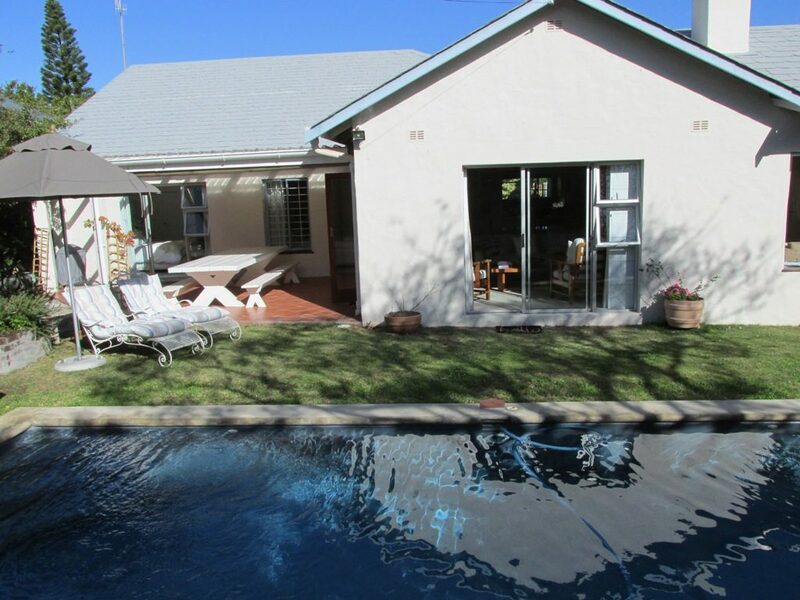 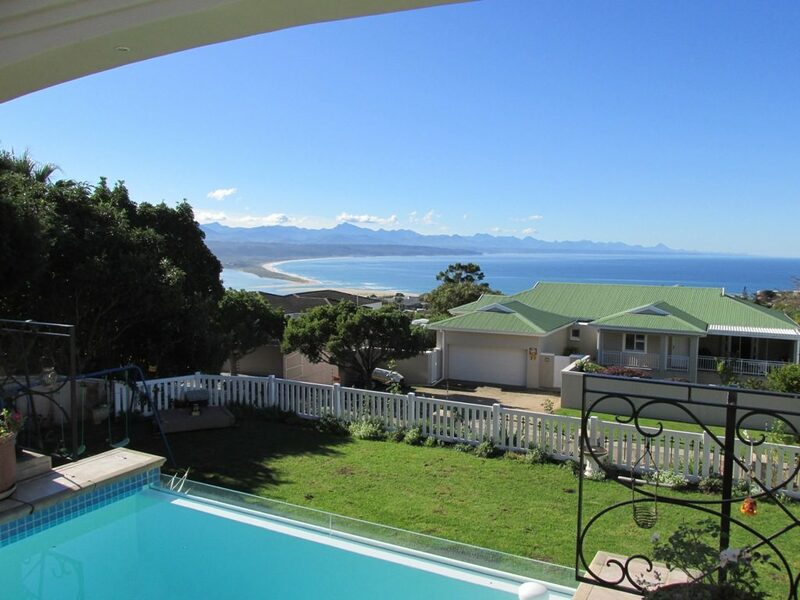 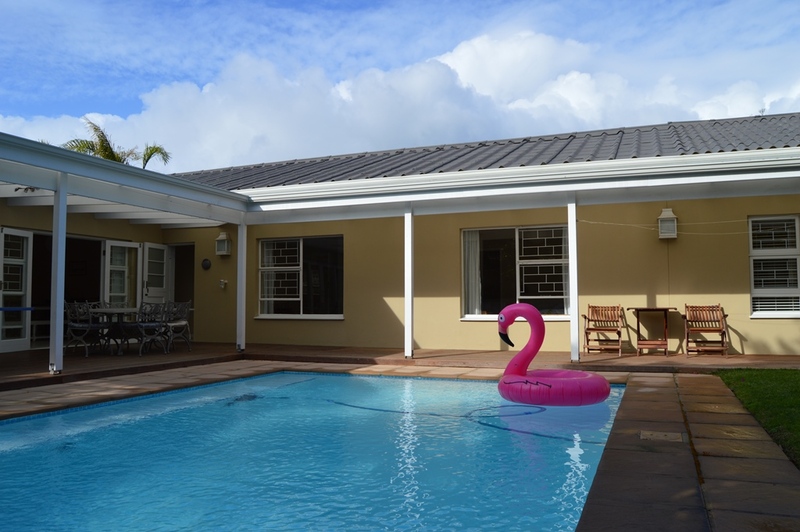 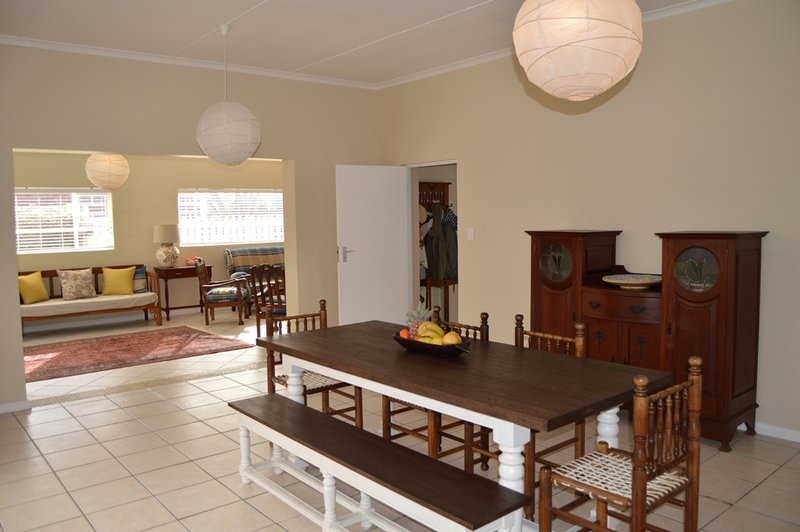 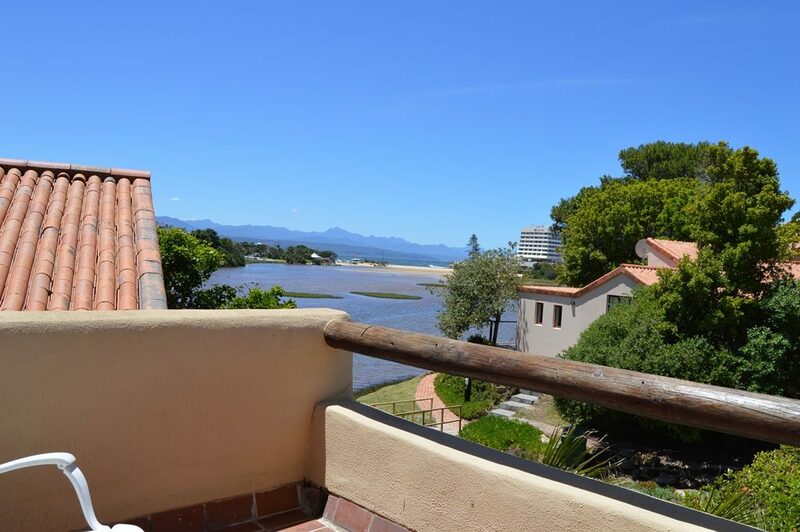 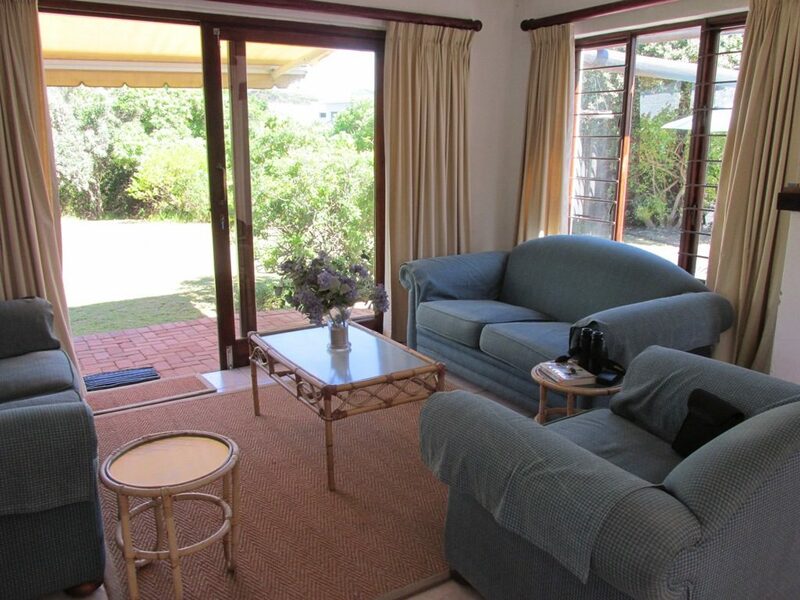 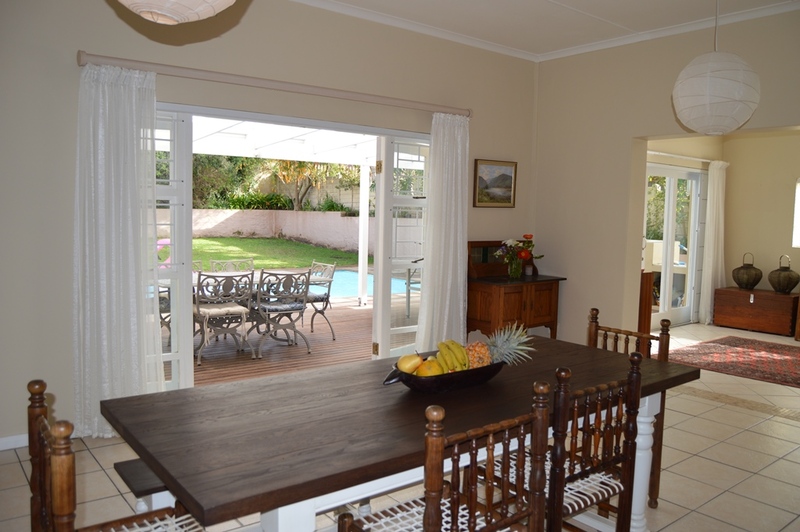 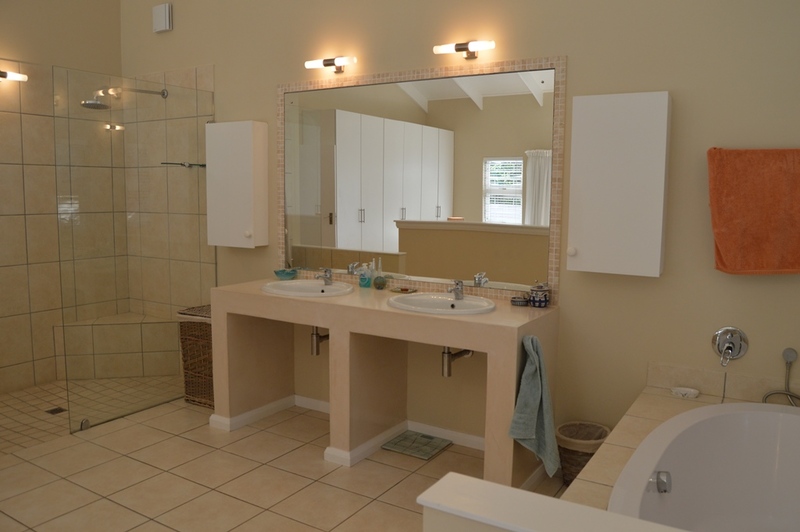 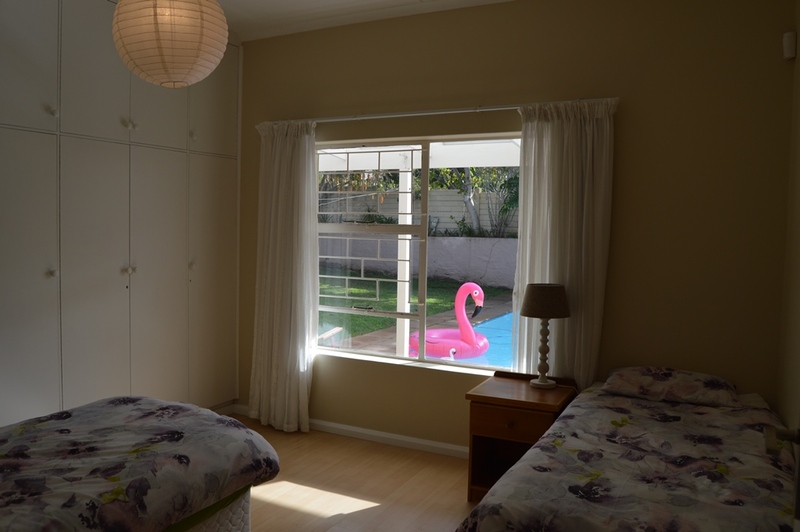 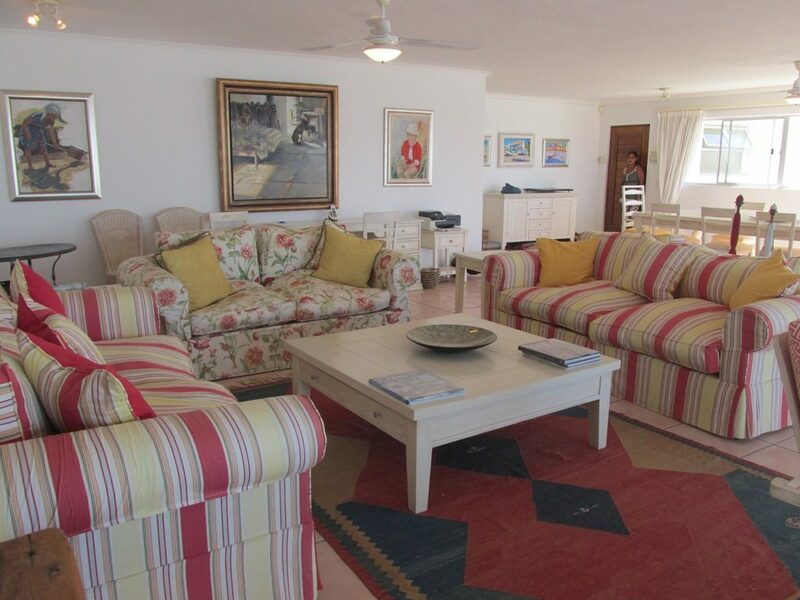 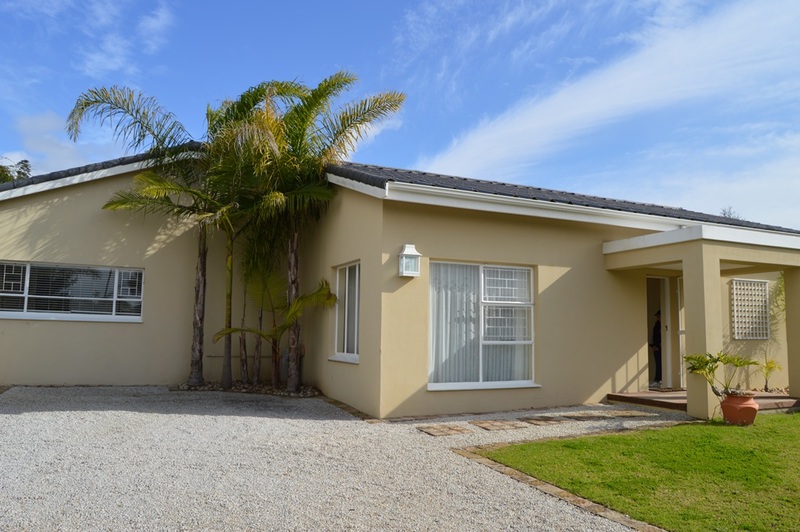 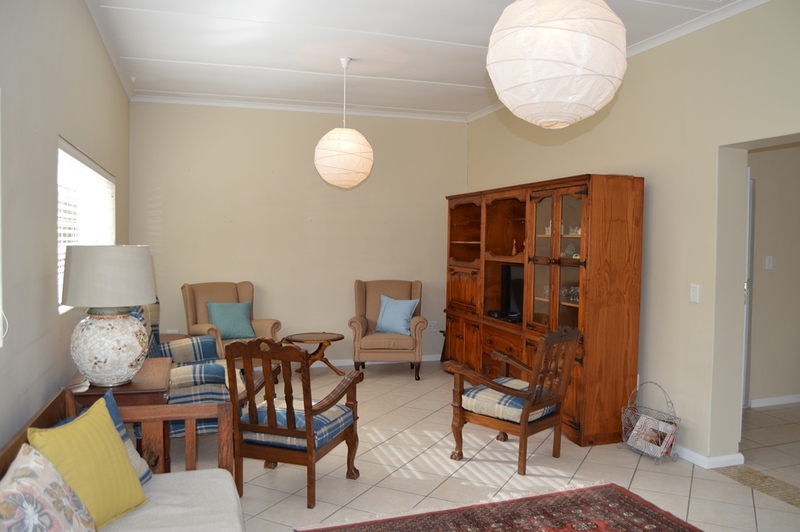 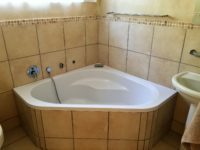 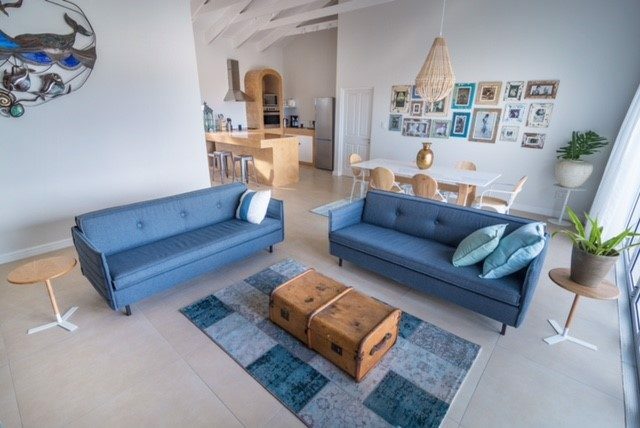 3 Bedrooms/3 Bathrooms – SLEEPS 6 Great location on Longships Drive, the main heart of the Robberg area. 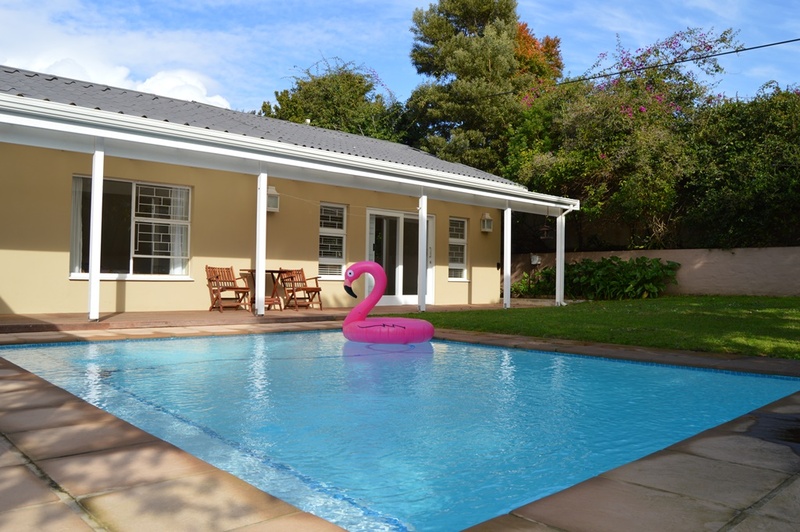 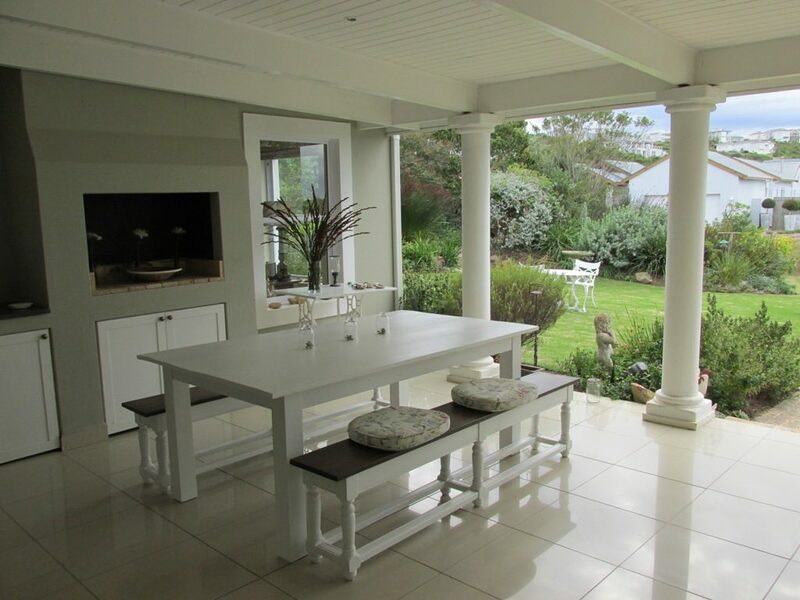 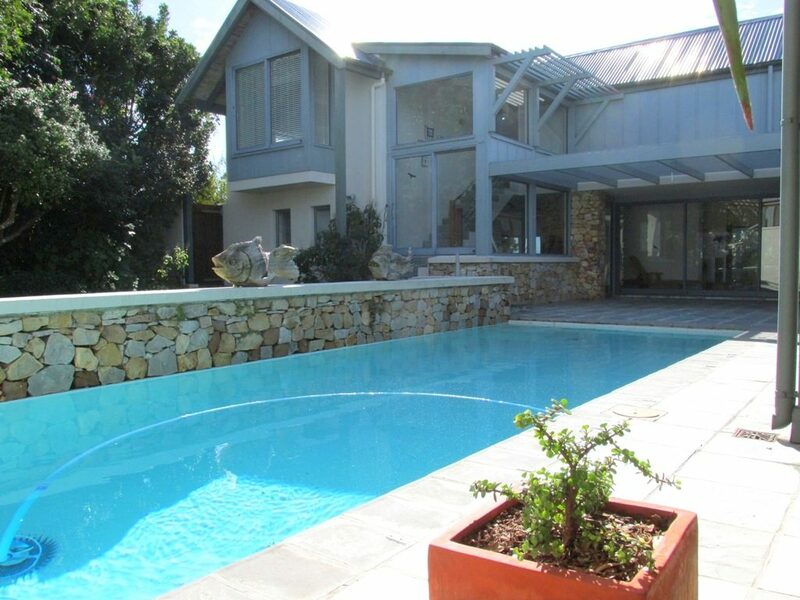 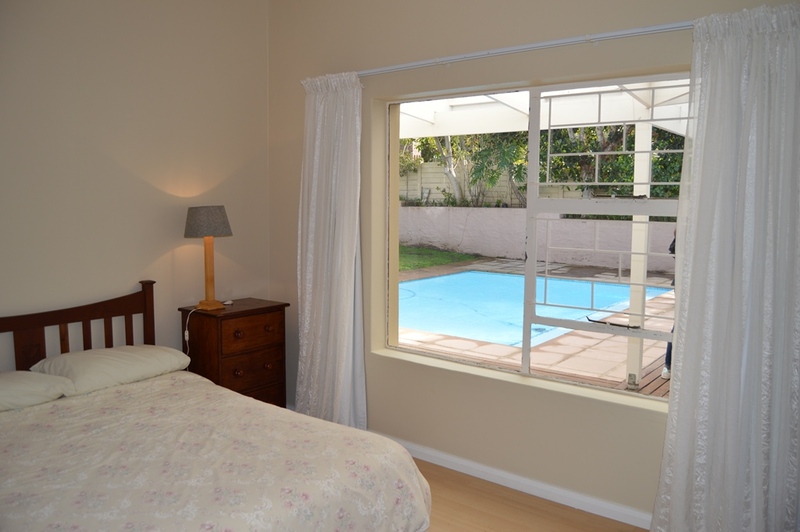 Enjoy the private swimming pool and patio with built-in braai and outdoor patio table in the private sunny garden. 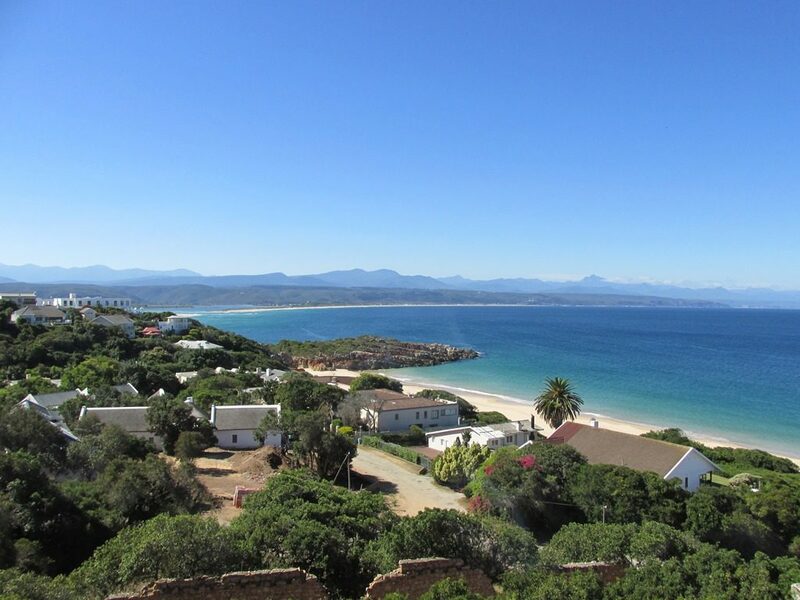 Walk to beach ±850 meters to Robberg 5 Beach. 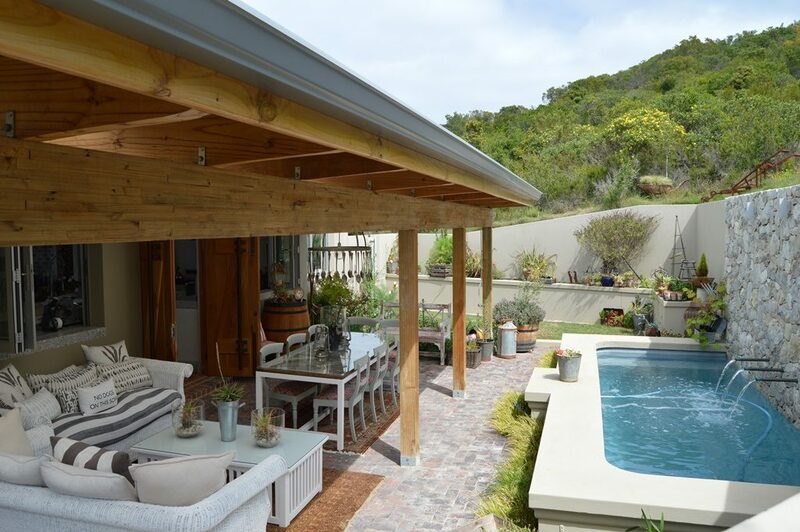 From the driveway, walk a step up to the front door. 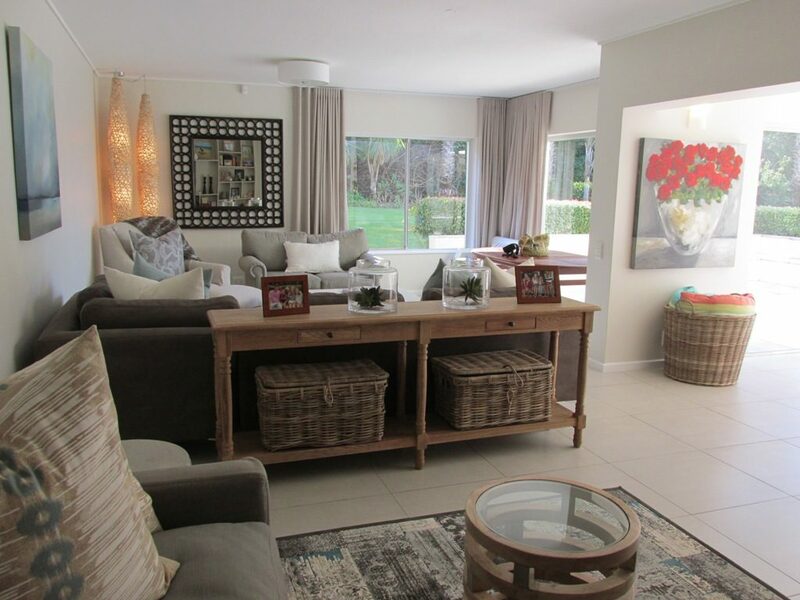 On the left is a front reception room – and then enter into the open-plan living area with indoor dining seating 6. 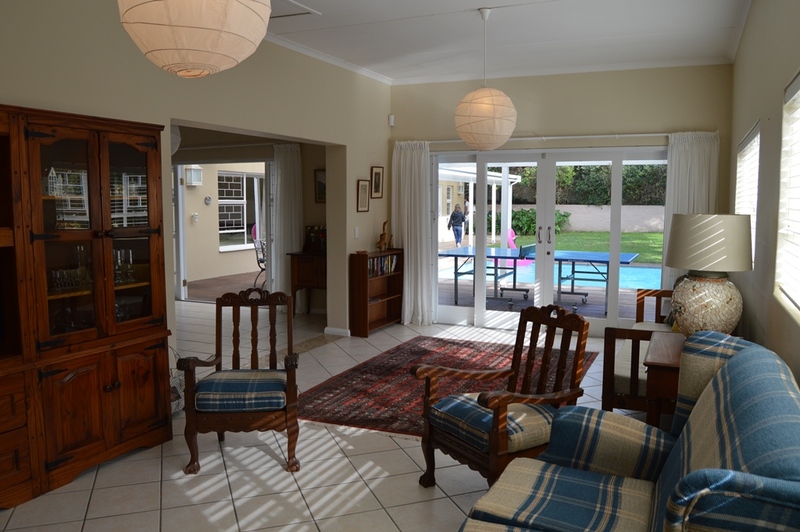 To the right is the TV lounge with flat-screen TV and DSTV. 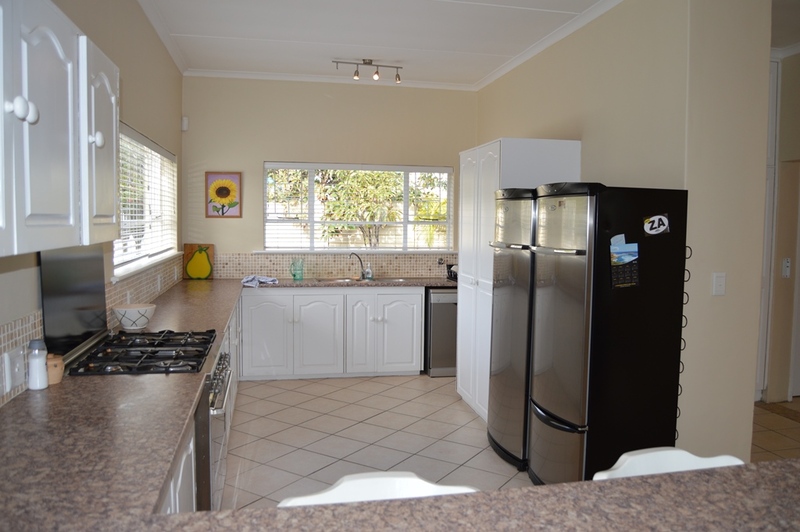 To the left is the kitchen with dishwasher, a full fridge and a full freezer and a Delonghi hob and oven. 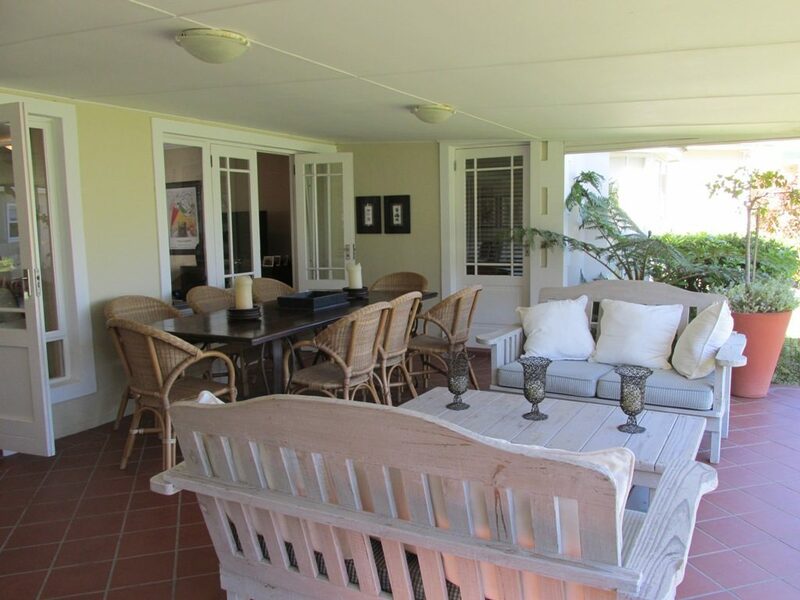 Doors lead to the patio. 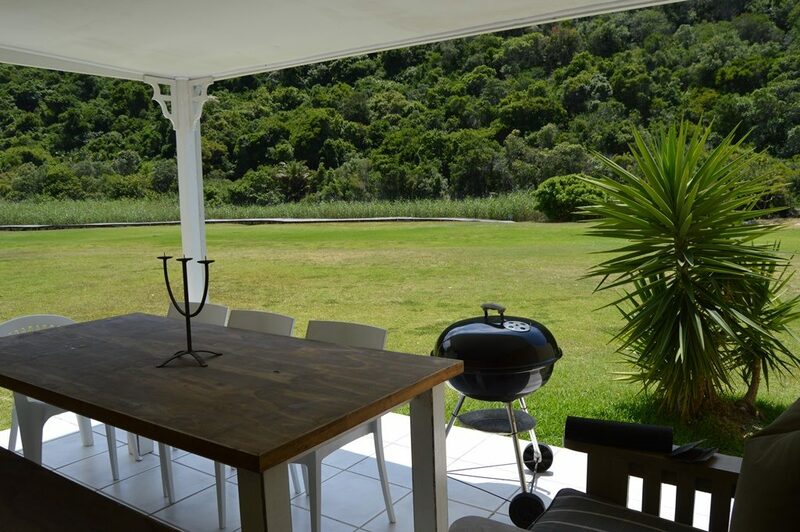 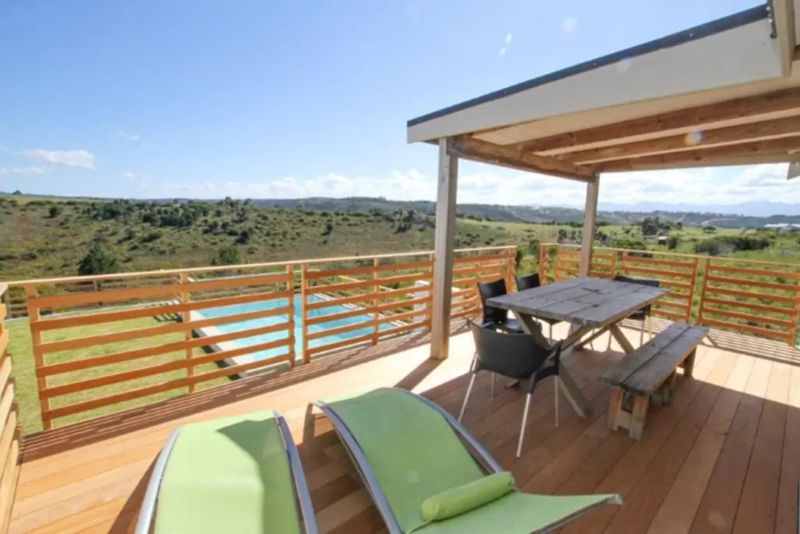 There is a wrought iron table seating 6, a built-in braai and grid, a wrap-around decked patio which is covered with clear roof sheets. 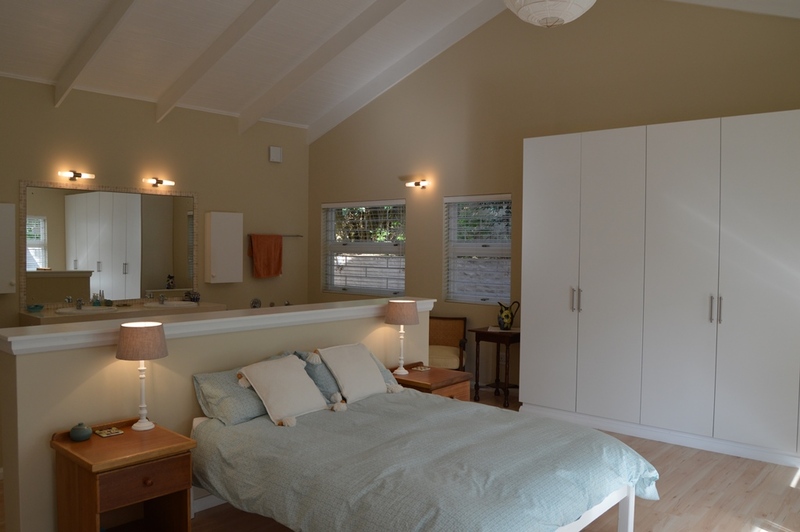 Bedroom 1: Main Bedroom: X1 Double bed with open-plan bathroom and double volume ceiling. 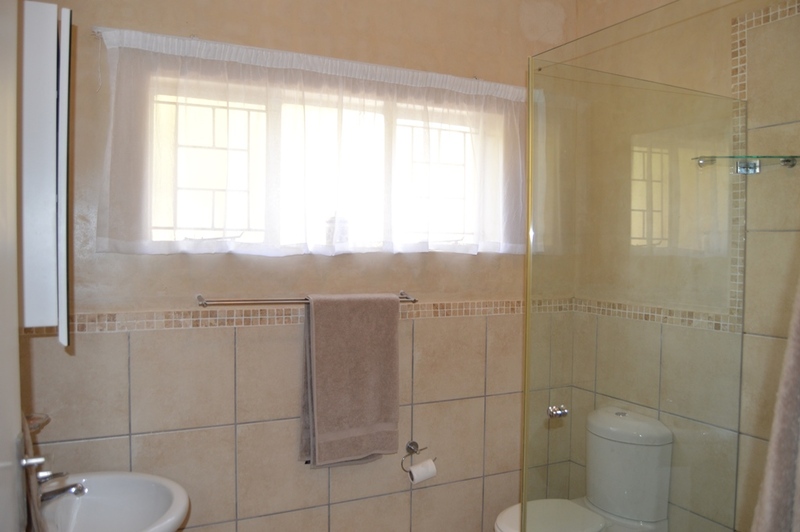 The bathroom has a shower, double basin, bath with a hand-shower and a separate toilet. 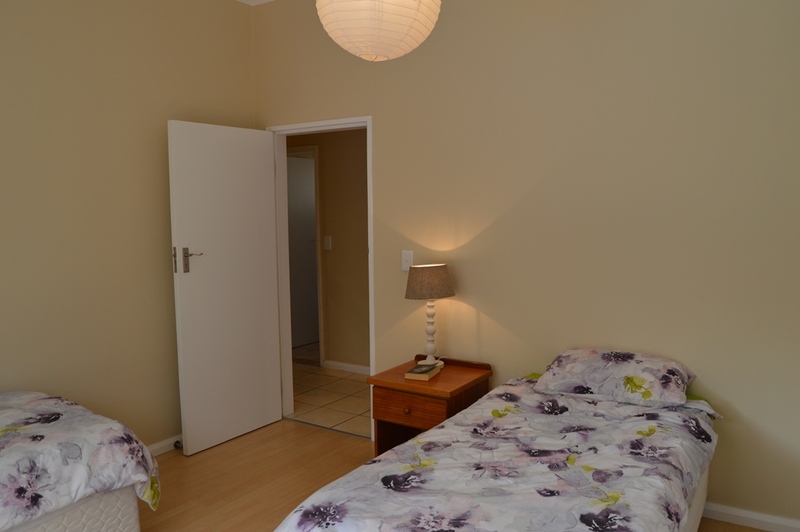 Bedroom 2: X1 Double Bed. 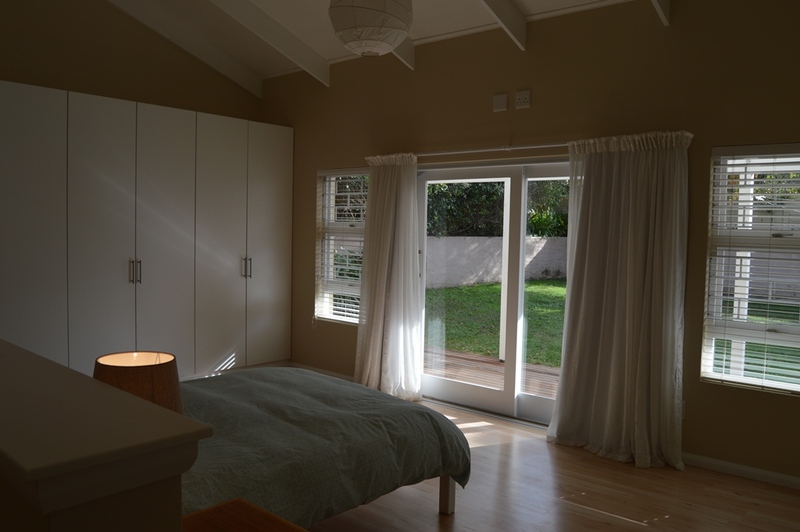 There is a security gate at the passage to the bedrooms. 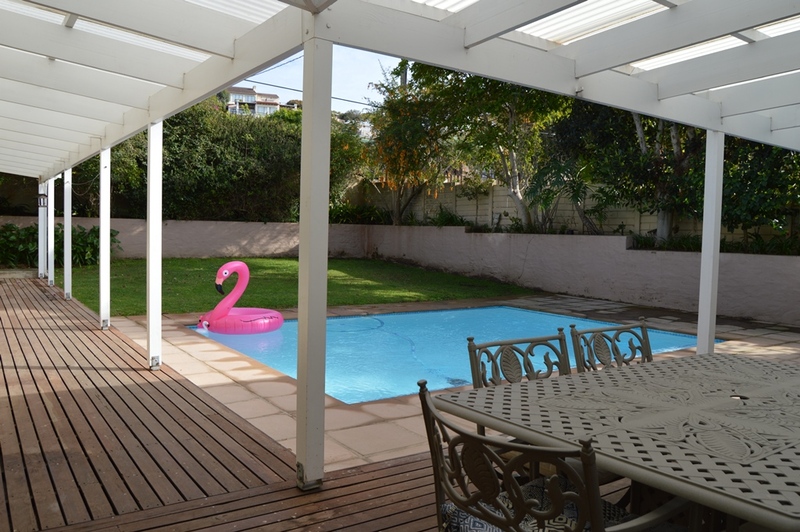 Beach Equipment: Beach Umbrella and one set of swimming towels. 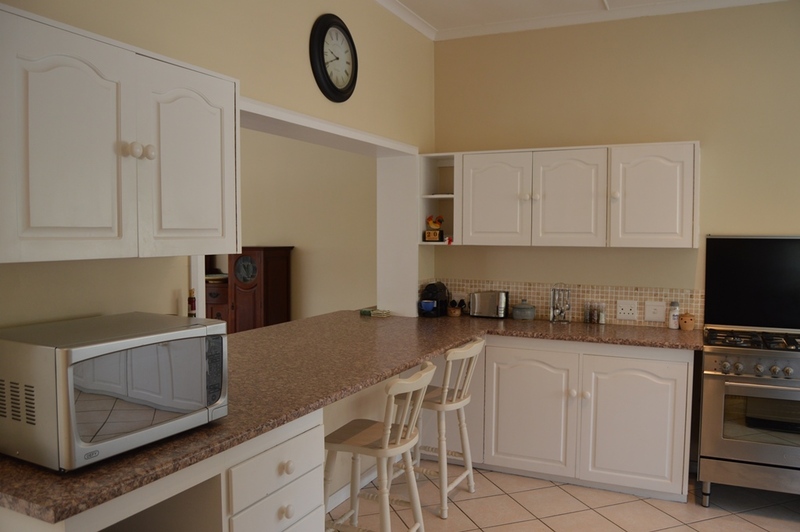 Kitchen is equipped with a DELONGHI 5 plate gas Hob and Electric Oven. 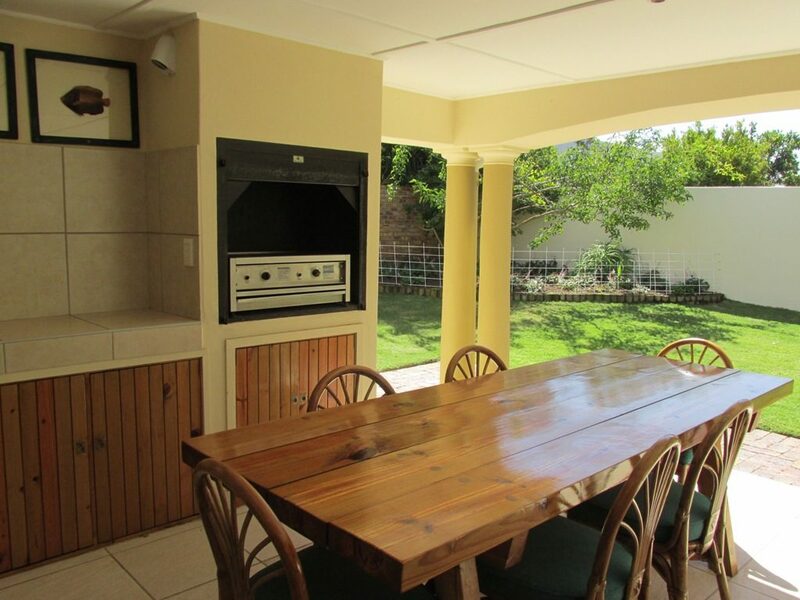 X1 Full fridge and X1 full freezer. 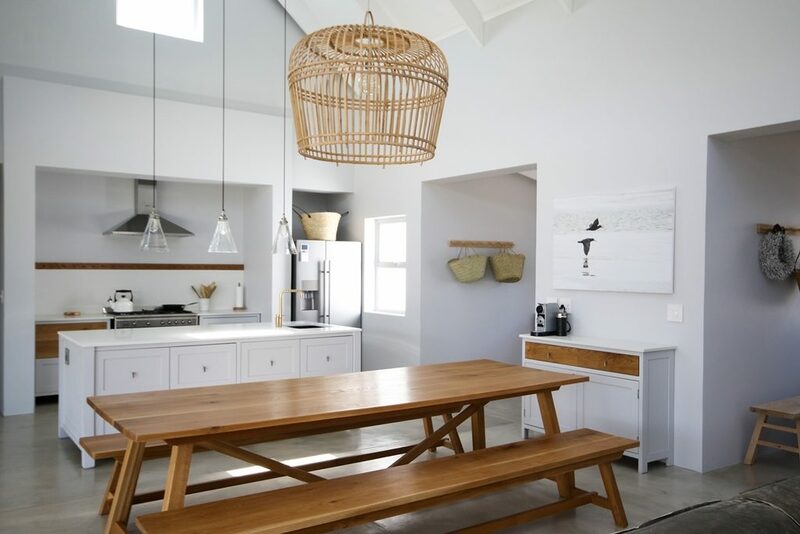 Microwave. 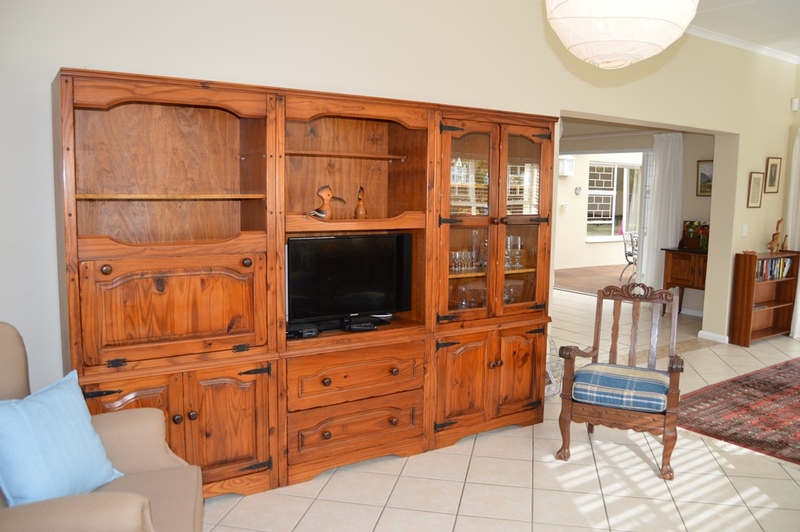 X1 Flat-screen TV and Premium DSTV. 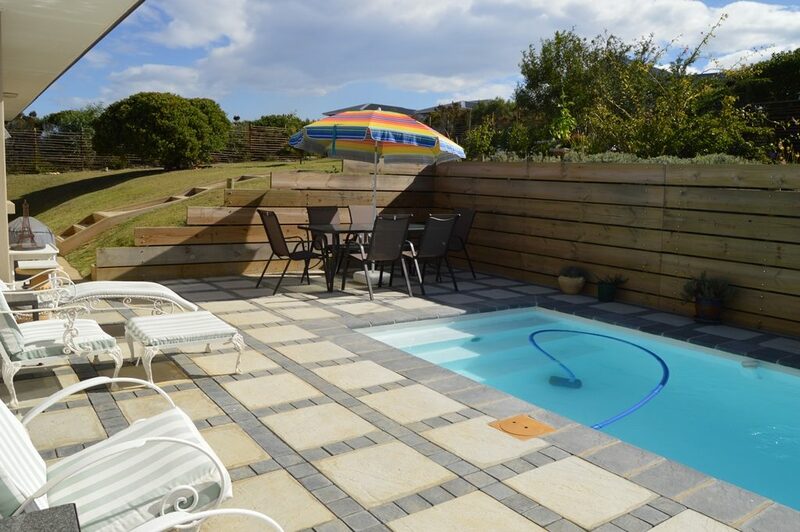 The swimming pool does not have a pool fence or a safety net. 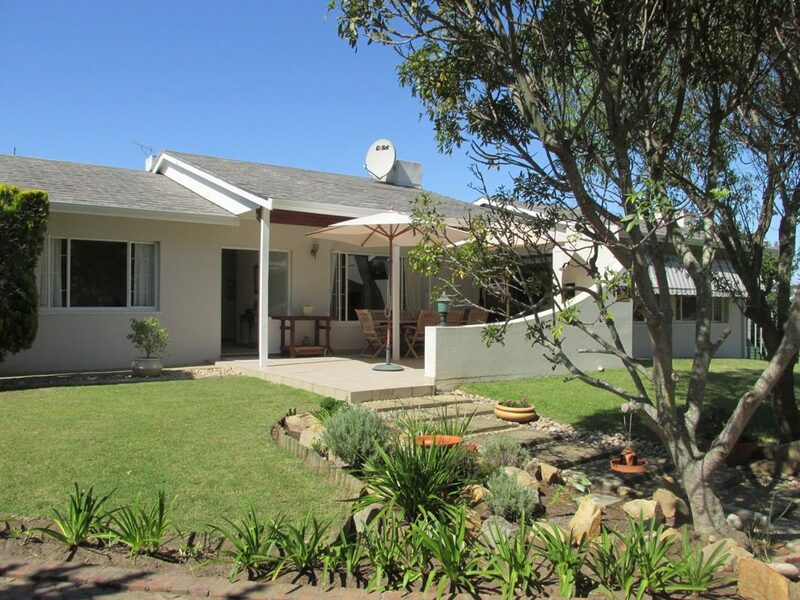 Off road parking for 2-3 vehicles behind the gate and access is via a remote controlled gate. 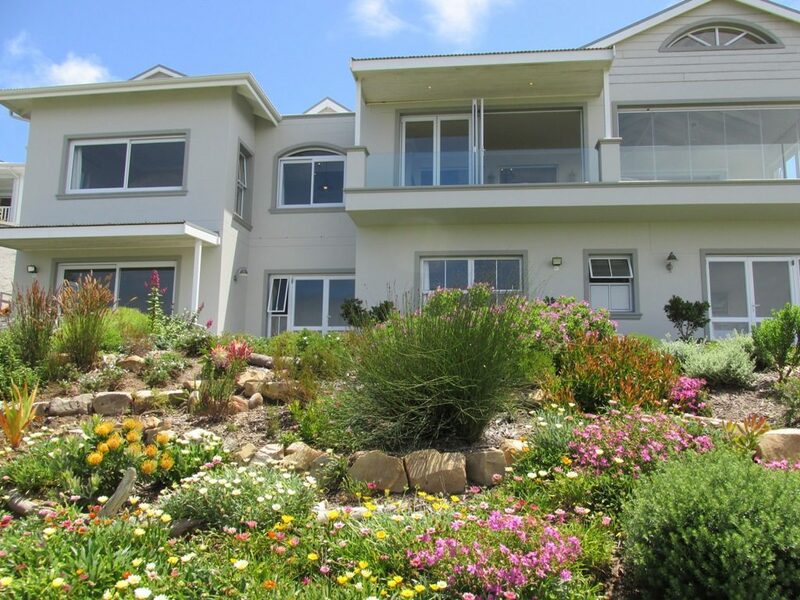 House alarm with external security beams.